Top quarks spin together more than they should, according to this new ATLAS result. 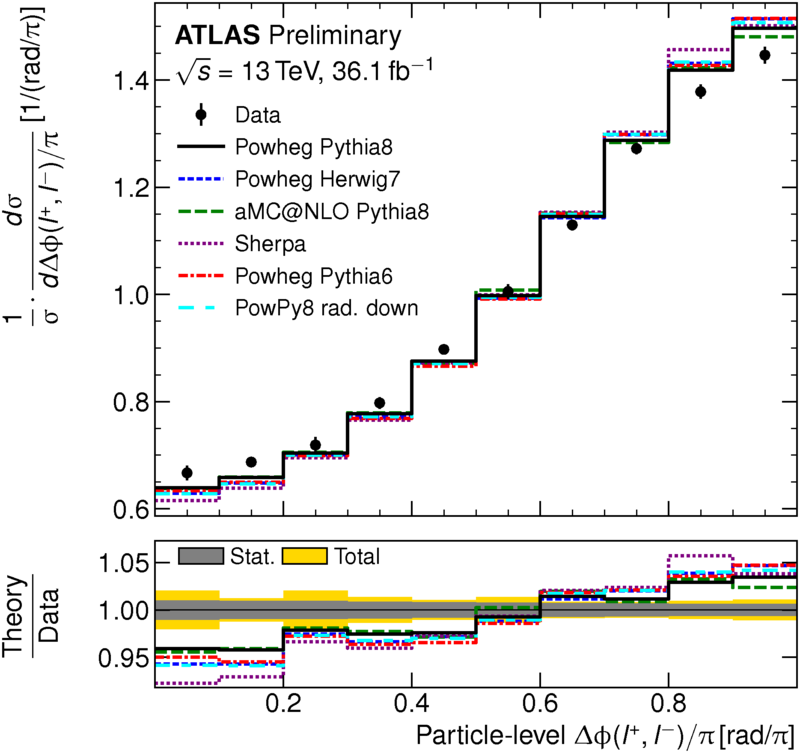 By measuring the angles between the top and antitop decay particles, ATLAS has not only measured this degree of correlation, but found it to be higher than what is predicted by calculations based on the Standard Model. This is not the first time that LHC experiments have probed spin correlation in top events. Both ATLAS and CMS have previously published measurements using the same observable and also found the spin correlation to be higher than expected, but at the time did not have sufficient precision to make a statement. This new result has significantly reduced uncertainty due to a much better understanding of the detector and the vast amount of data now available at the LHC. So what could it be? What could make top quarks spin together more than they should? New physics or poor modelling? So what could it be? What could make top quarks spin together more than they should? There are a number of possibilities. The first is that our understanding of quantum chromodynamics simply isn’t sufficient to describe data at this precision. ATLAS has investigated this possibility thoroughly and, at the moment, nothing obvious stands out as a culprit. Indeed, since both ATLAS and CMS have seen this effect multiple times in different datasets and using different simulations, it seems unlikely to be a simple modelling issue but perhaps something more fundamental in our understanding. The possibility of a lack of understanding of the detector has also been ruled-out. Could this be something new? The data on which this result is based is only a fraction of what is available to us and now the community as a whole must scrutinise this result as ATLAS prepares to investigate even more data. One thing is certain: tops appear to be spinning together more than they should. The question is, why?